G Fins: (Embedded Fin) The G fin strip is wound into a machined groove and securely locked into place by back filling with base tube material. This ensures that maximum heat transfer is maintained at high tube metal temperatures. Maximum operating temperature for this fin type is 450°C. Fin material: Aluminum or copper Tube materials: Carbon steel, Cr.-Mo. steel, stainless steel. L Fins: L Fin strip material is subjected to controlled deformation under tension giving the optimum contact pressure of the foot of the fin onto the base tube thus maximizing the heat transfer properties. The foot of the fin considerably enhances the corrosion protection of the base tube. Maximum operating temperature for this fin type is 150°C. Fin material: Aluminum or copper. 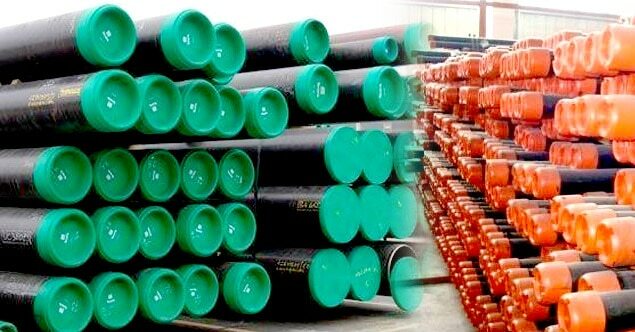 Tube materials: Carbon steel, Cr.-Mo. steel, stainless steel Crimped Fins: This fin type (crimped fin) is a non taper fin wrapped under tension around the base tube. The finning process results in a crimp forming at the foot of the fin. Fin is then welded to the base tube at the strip ends. Maximum operating temperature for this fin type is 250°C. Fin material: Carbon/stainless steel or copper. Tube materials: Carbon/stainless steel. 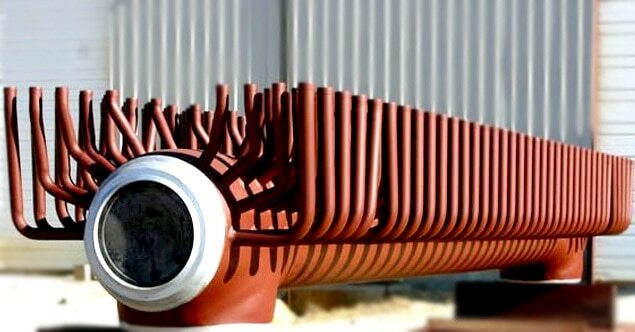 Hi, I am interested in "Helically Wound Finned Tubes" and need pricing regarding same. Please contact me.